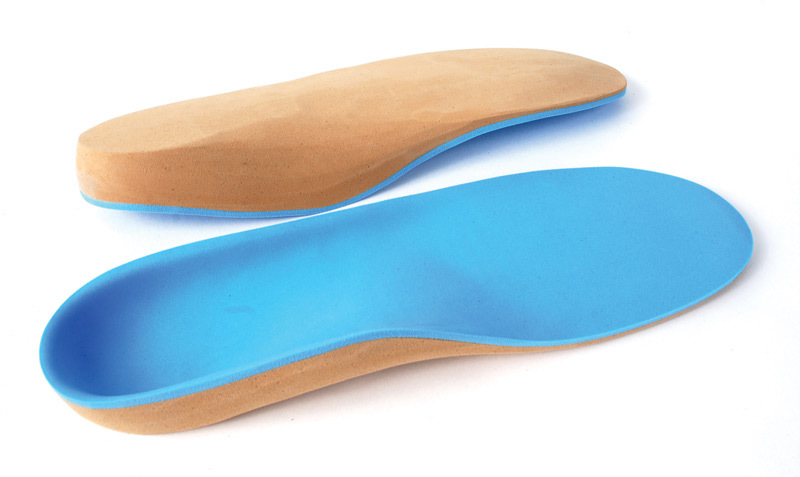 Levy Custom Orthotics have set the standard in the orthotics industry for over 85 years and we intend to continue that tradition for a long time to come. Our orthotic products are all 100% made in the USA in our New Jersey facility. The talent, knowledge and experience of Levy & Rappel® craftsmen can provide a fitting that minimizes patient discomfort, and allows the patient to ambulate naturally. The “L&R”™ Prothesis is soft enough to limit irritations to devascularized tissue, and strong enough to act as a filler. The prothesis is most commonly fabricated from an EVA or Thermocork® Lite Base with a plastazote filler. Please send footwear along with casts for proper design. “L&R”™ Prothesis can be prescribed for partial, transmet, or Symes amputations. Bio-Step – This revolutionary new design combines the comfort and shock absorption of PPT and the control of a thermoplastic device to provide relief for most common foot ailments. The Bio-Step is ideal for those who are a heavier and more active patient. Perfect-Step – The Perfect-Step holds true to its name. The combination of multiple shock absorbing layers with the support of a semi-flexible polyethylene derivative thermoplastic shell makes this device ideal for everyday activities. These factors, included with its low profile design for good fit, will make every step feel perfect. Ortholen – The “L&R”™ Ortholen orthosis are fabricated from an ultra-high molecular weight polyethylene. Available in flexible, semi-rigid or rigid material which offer exceptional durability, and can be fabricated to fill prescriptions for many different styles of orthosis. Some styles include the UCBL, Shaffer (shown) and Whitman. The “L&R”™ Ortholen fits into all traditional footwear. 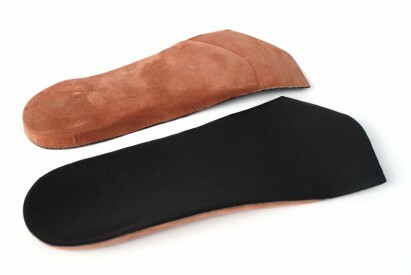 Additional stability and rearfoot control are easily achieved with this thermoplastic orthosis. Various top cover options and accommodations are available. Carboplast – This durable, ultra-thin, super lightweight material can be fabricated in either semi-rigid or rigid compositions without sacrificing its thin profile. Carboplast can be used for many different styles of orthotics. Some styles include the UCBL, Shaffer (shown) and Whitman. Top cover options and accommodations are also available. Graphite – Bio-Sport Graphite, constructed from carbon graphite composite, offers the maximum in control in a lightweight material. This rigid device provides superior support and shock absorption for the most active athlete. The Bio-Sport top cover creates a friction-free surface minimizing shear forces. Accommodations and top cover options are available to meet the demands of all sporting activities. Ortholen – Bio-Sport Ortholens, constructed from a special derivative of Polyethylene, offer excellent control for biomechanical instabilities. This semi-rigid orthosis can handle optimum stress loads while maintaining proper shape and support. The Bio-Sport Ortholen is often prescribed for very active athletes when stability is essential. The Bio-Sport top cover creates a friction-free surface minimizing shear forces. Accommodations and top cover options are available to meet the demands of all sporting activities. EVA Mold – Levy & Rappel® has a unique method of molding EVA to produce a total contact orthosis that offers a combination of shock absorption and durability. 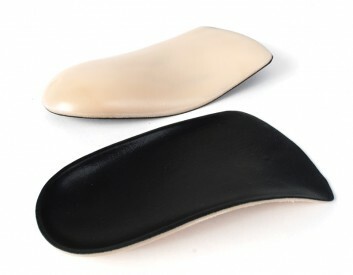 The Traditional Accommodative EVA Mold cushions the foot and is very light in weight, making it a popular choice for patients suffering from arthritis. 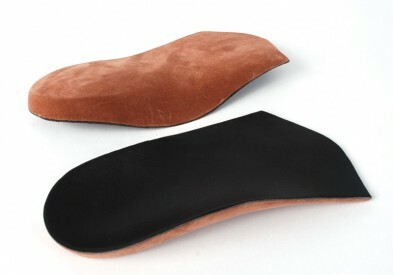 The orthosis adapts very easily to modifications, and will comfort the hyper-sensitive foot. 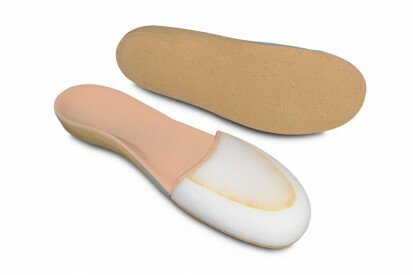 The finished mold is often covered with STS (shown), producing an orthosis which is extremely supportive and contoured precisely to the patient’s foot. Plasta Mold* – Plasta Mold is the original total contact Plastazote® mold, designed to protect the diabetic foot. The combination of a rigid Plastazote® base and firm Plastazote® top cover offers the patient support, balance, and accommodation. This traditional orthosis enables diabetic patients, including those who suffer from plantar ulcerations, diabetic foot pathology and peripheral vascular disease, to ambulate comfortably. Accommodations for the Plasta Mold are available. *BLACK PLASTAZOTE® HAS BEEN ON BACKORDER FROM ZOTEFOAMS (THE MANUFACTURER) SINCE SEPT. 2017, CURRENTLY WE HAVE RUN OUT OF OUR STOCKPILED INVENTORY. AS OF 2/12/19 WE DO NOT HAVE AN EXPECTED DELIVERY DATE. WE DO HAVE FIRM DENSITY WHITE PLASTAZOTE OR, SUGGEST THAT YOU CHANGE THE BASE MATERIAL TO CORK UNTIL FURTHER NOTICE. Cork Mold – Levy & Rappel® has perfected a method of molding cork to produce an orthosis that offers good shock absorption while providing longitudinal arch support. 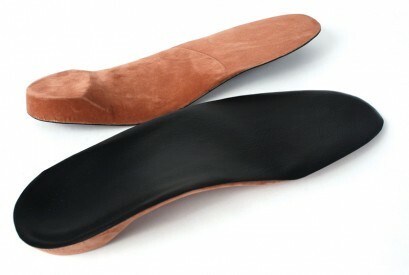 The Traditional Accommodative Cork Mold, with its deep heel cup design, stabilizes the rearfoot. 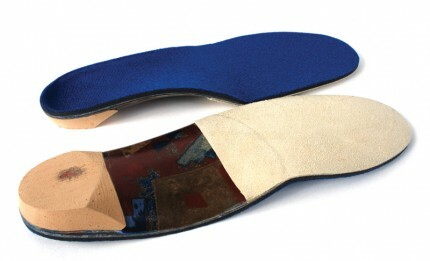 This total-contact orthosis can accommodate forefoot deformities. Traditional Accommodative Cork Molds maintain their shape under severe stress, and may be ideal when a patients’ weight is a factor. These orthosis are available with a variety of top covers or accommodations, and can easily be adjusted in your office when necessary. 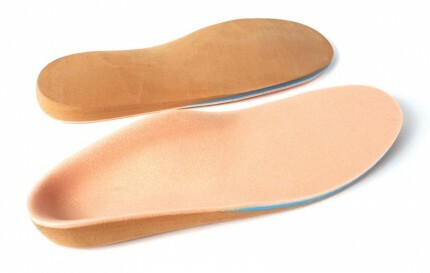 Shaffer – The Classic Leather Shaffer, another style that Levy & Rappel® is well recognized for, is commonly prescribed for longitudinal arch support. The medial flange in the Shaffer orthosis is designed to provide firm arch support and extra comfort by redistributing pressure. 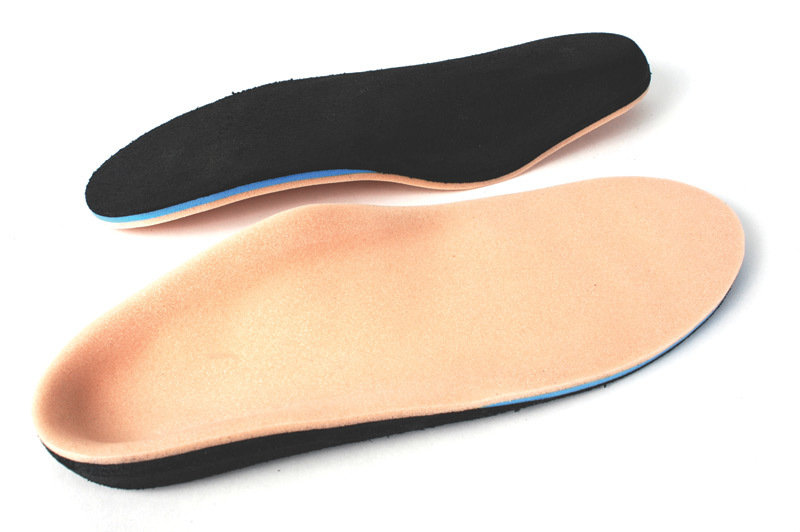 Shaffers are most commonly prescribed with a metatarsal support to shift pressure from painful metatarsal heads to the more tolerant metatarsal shafts. Thanks to the variety of modifications offered by Levy & Rappel®, like the Balancer, the Shaffer can be worn for many types of foot conditions. Dressthotic – For the patient who is conscious of styles as well as performance, Levy & Rappel® has designed the Levy Dressthotic which fits comfortably in high fashion shoes while maintaining proper support. 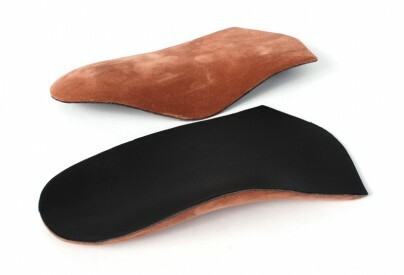 These leather or plastic orthoses retain their effectiveness in the most confined environments. Forefoot corrections or accommodations may be added when appropriate space allows. 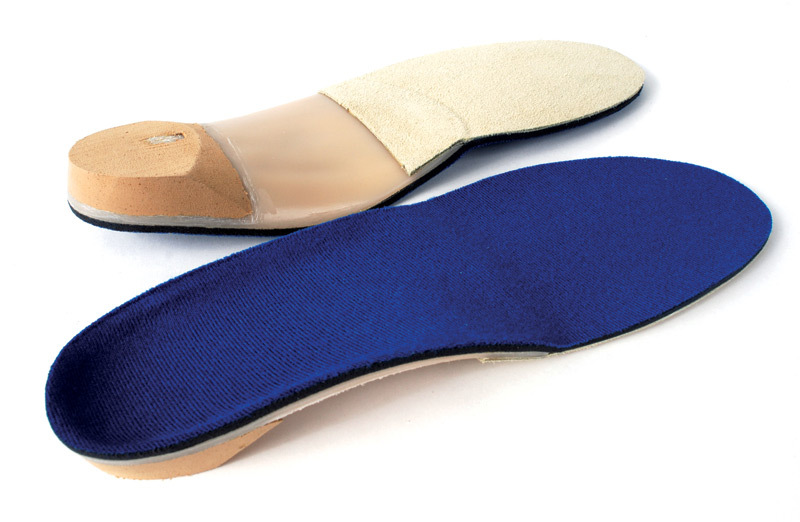 When these accommodations are added, the Levy Dressthotic maintains the low profile necessary to prevent heel lift or forefoot tightness. The Levy Dressthotic is also available in the cobra design. MDI – Diabetic Multi-Density M.D. I is a light-weight, tri-density, total contact orthosis. 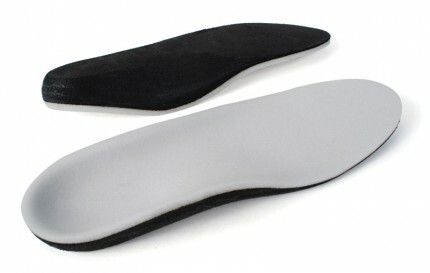 The EVA base provides firm support and excellent shock absorption. The S.T.S.® core gives the support added resilience, while the molded Plastazote® top cover accommodates pressure and protects the insensitive diabetic foot. Accommodations for the Diabetic Multi-Density M.D. I are available. MDII – Diabetic Multi-Density M.D. II is a light-weight, tri-density, total contact orthosis. 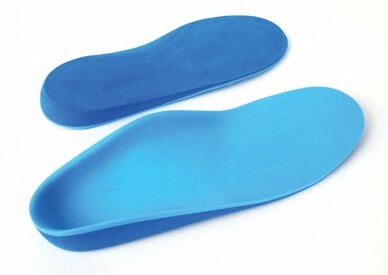 The Thermocork® Lite base offers rearfoot control and extra durability. 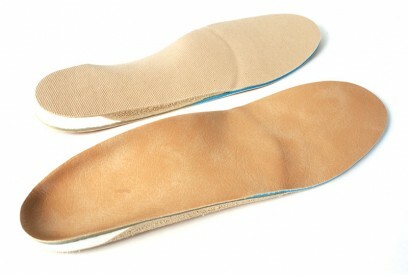 The S.T.S.® core gives the support added resilience, while the molded Plastazote® top cover accommodates pressure and protects the insensitive diabetic foot. The comfortable Diabetic Multi-Density M.D. II holds up very well under heavy stress and is often prescribed when weight is a concern. 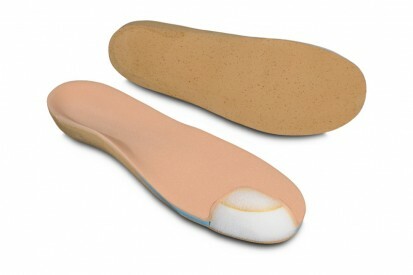 Accommodations for these orthosis are available. MDIII – Diabetic Multi-Density M.D. III is the original total contact Plastazote® mold designed to protect the diabetic foot. The combination of a rigid Plastazote® base and firm Plastazote® top cover, with a layer of PPT in between, offers the patient support, balance, and accommodation. 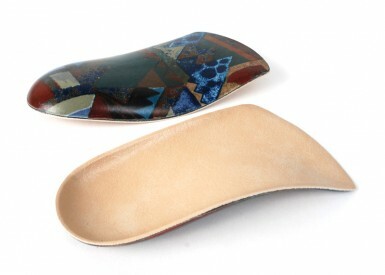 This traditional orthosis enables diabetic patients, including those who suffer from plantar ulcerations, diabetic foot pathology and peripheral vascular disease, to ambulate comfortably. Accommodations for the Diabetic Multi-Density M.D. III are available.